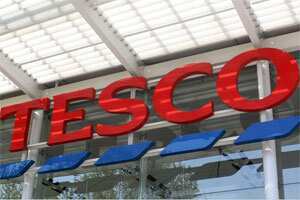 Mumbai: World number three retailer Tesco Plc has put off its plans to set up wholesale stores in India for now, the Business Standard newspaper reported on Monday. Earlier this month, India suspended plans to open its $450 billion supermarket sector to foreign firms, backtracking from one of the government’s boldest reforms in years in the face of a huge political backlash. The British retailer is currently focusing on setting up warehouses and back-end infrastructure for the Star Bazaar stores and is not planning to set up cash-and-carry stores, the report said citing sources. Tesco had earlier this year said it did not plan to enter the southern Indian state of Karnataka with wholesale operations after the state government refused to grant a license to it due to pressure from local traders. The company had planned to invest ₹ 5 billion ($96 million) to set up wholesale stores in India, the report added. Other retailers such as Germany’s Metro, United States based Walmart and France’s Carrefour have been progressing ahead with their wholesale operations in the country. The news agency could not immediately reach Tesco for a comment.